#NextGenATP Alexander Zverev has won the 2017 Coupe Rogers title in Montreal, defeating Roger Federer 6-3, 6-4. The German youngster sailed to his second ATP World Tour Masters 1000 title after seeing off Novak Djokovic to claim his first earlier in the season. 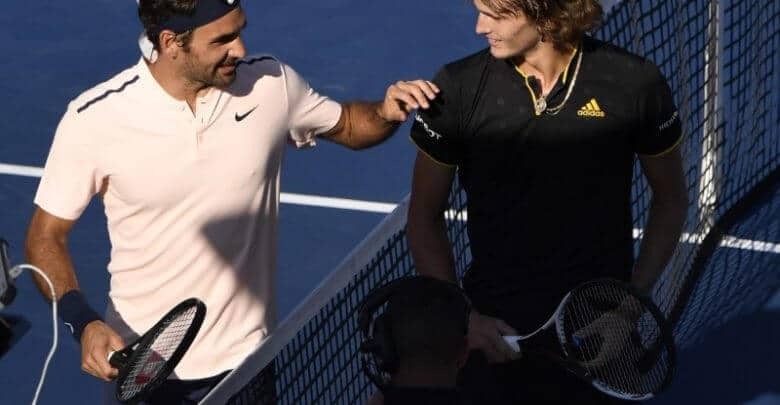 Zverev is now the first player aside the ‘Big four’ – Federer, Djokovic, Rafael Nadal and Andy Murray – to lift multiple Masters 1000 trophies in a season since David Nalbandian stunned the tennis community back in 2007. He is the second active person, aside Jo-WilfriedTsonga and outside of the ‘Big Four’ to hold more than one Masters 1000 title. The winners is set to feature at the Next Gen ATP Finals in Milan after seeing off Denis Shapovalov. He was quite aggressive and sent powerful groundstrokes against the fellow youngster. He is in third place in the Emirates ATP Race To London and could make the Nitto ATP Finals later. This term alone, Zverev has claimed five ATP World Tour titles. Aside the aforementioned, he excelled in Marseille, Munich and Washington. Against the Swiss veteran, Zverev keyed in 20 winners, plus six aces. He played Federer from the onset, refusing to allow him settle into his rhythm. He claimed most of the total service points and dominated the rallies. He wrapped up the game, shocking onlookers in 68 minutes to claim his crown. Since Djokovic back in 2007, Zverev becomes the youngest Coupe Rogers champ. He is the face of German pro tennis now, with enthusiast excited about the new Boris Becker.